Neets Control – TanGo is a powerful control system enabling intuitive touch control through touch panels or standard browsers. 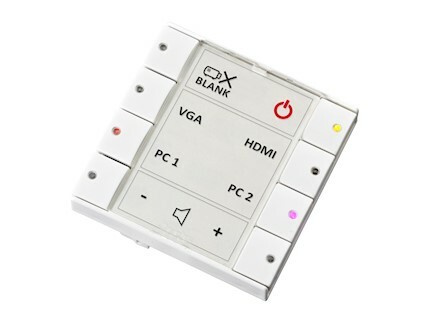 Neets Control – DelTa provides complete control off all room functions. DelTa has a variety of functions for demanding AV-installations such as: Built-in Audio mixer, control the room with touch devices or NEB extensions, create your own GUI design and easy room monitoring with Neets Central Control software. 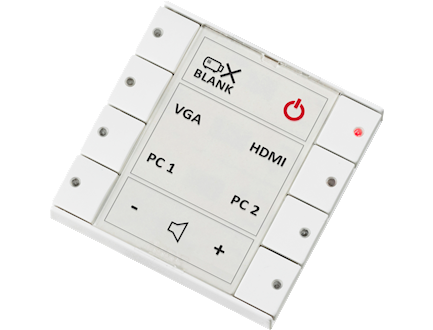 DelTa is a versatile AV control system and offers complete control of demanding AV installations. 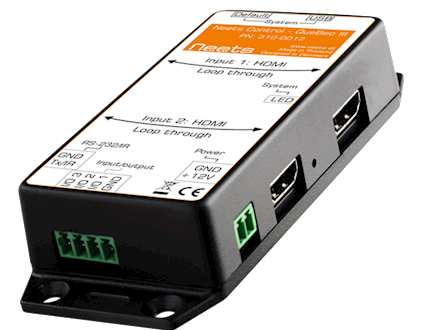 Neets Control – AlFa II provides easy control of all room functions. AlFa II is a particularly good for integrating videoconference. 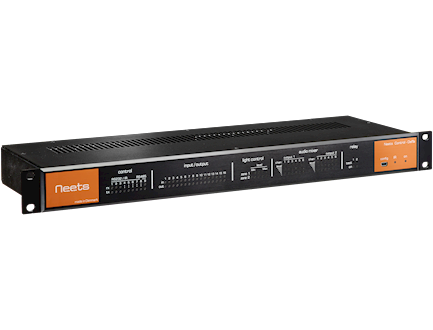 Neets Control – SieRRa II provides uniform AV control interface in all rooms through an 8-Button Keypad with built-in controller. SieRRa II also enables touch control with a tablet (iOS or Android) through a built-in webserver. 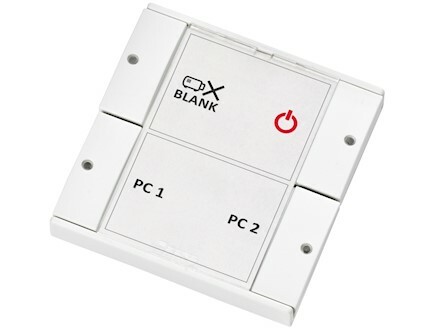 PoE support to avoid an external PSU. 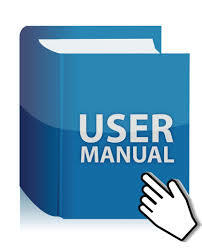 Email notification on lamp/filter hours and warnings as well as Central Control monitoring is supported as a standard. Neets Control – EcHo Plus provides uniform AV control interface in all rooms through an 8-Button Keypad with built-in controller. For installations with multiple rooms, the included Central Control software makes it possible to monitor rooms with OsCar installed from a central computer. 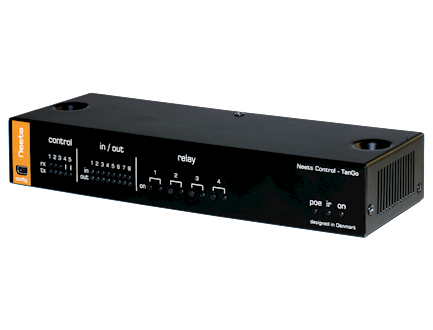 Neets Control – BraVo provides uniform AV control interface with a 4-Button Keypad. BraVo is well suited for classrooms and meeting rooms with a projector/ screen setup. Automatic timer functions can switch AV-equipment off when inactive. BraVo fits most standard installations and is easy to install, configure and integrate into existing AV-installations. 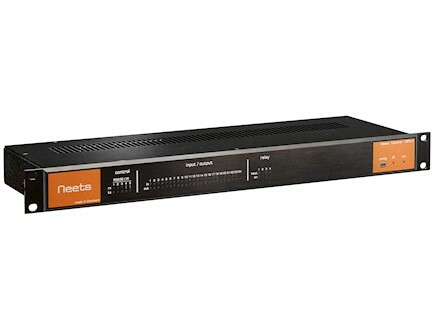 Neets Control – QueBec provides automatic control over your presentations. 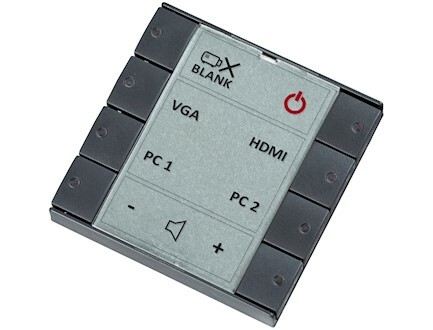 QueBec switches automatically between HDMI/ VGA signal. Latest signal connected to QueBec is displayed.